In a surprising move Intel is set to reveal how to overclock SSDs during the Intel Developer Forum (IDF) 2013, and will demonstrate methods that will allow changing of the frequency of the SSD controller and the NAND. Intel has announced the first public demonstration on the IDF website of overclocking for Intel SSDs which should take place the 10th of September 2013. Details of the proposed demonstration were first discovered by XbitLabs and is to be part of a session where Intel will also show how to overclock some of their enthusiast targeted CPUs and mainboards. Intel has not disclosed any other official information about the SSD overclock, however we have found some rather interesting preliminary code in the Intel Extreme Tuning Utility (Intel XTU) which reveals the settings that will be available once Intel enables them. 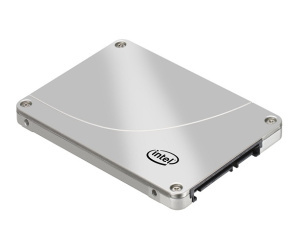 Another option allows to set the power mode of the SSD to ‘limited’, ‘typical’ or ‘unconstrained’ which Intel describe as, ‘Sets the power limits for the specified Intel SSD’. All the descriptions clearly state ‘specified Intel SSDs’ which indicates the that the settings will only become available on selected Intel solid state drives. According to our expert and SSD reviewer Dee, it’s expected that overclocking the controller will only give a small boost but could be without any side effects. Increasing the frequency of the NAND is likely to cause more side effects which might risk stability and/or data corruption. There are however other ways to push your SSD to the limits, as we describe in this Myce article. Discuss SSD Overlocking in our SSD Forum, we’re also trying to enable the feature before it becomes officially enabled. Please join our quest to enable SSD Overclocking before Intel releases it.